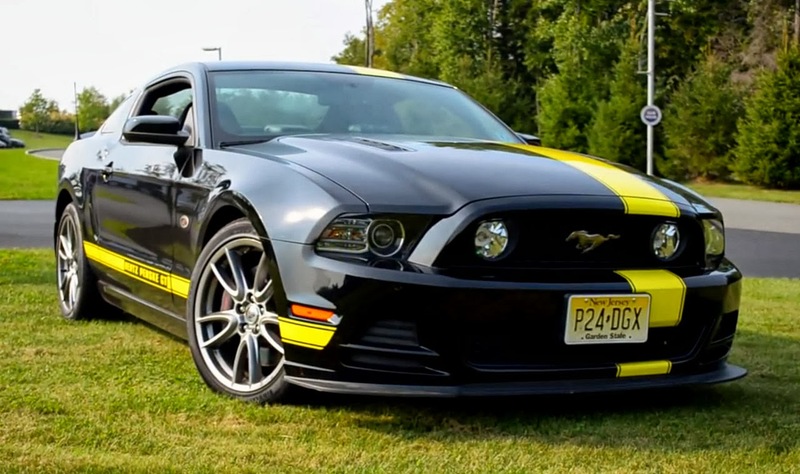 This summer Hertz announced the new “Penske GT,” a modified Mustang that the rental car company was adding to their Adrenaline Collection fleet. While perhaps not an official descendent of the original 1966 Shelby GT350H and the 2006 Shelby GT-H, the Penske GT follows the same theme – a genuine rent-a-racer. The car comes with a host of Ford Racing upgrades including a cold air intake and tune, 3.55 gears, quad tip exhaust system and suspension package as well as items like the front Brembo brakes and Recaro seats as standard. 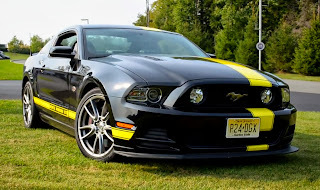 Shakedown, a part of YouTube’s Drive Network, recently got to sample the the Hertz Penske GT at the Monticello Motor Club in New York to see if the car is worthy of plunking down you hard earned dollars to drive for a day or two. Host Leo Parente offers up his thoughts on the car, as well as a few other journalists, and for the most part the consensus seems to be mostly positive. Everything from the suspension system to the exhaust note receives high praise. A common complaint? The automatic transmission, which comes in all 150 cars. 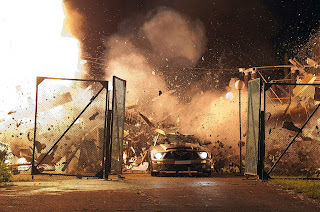 This entry was written by by Anna Nova (Ford Mustang) and posted here on Tuesday, October 1st, 2013 at 4:25 am and is filed under Classic mustangs, Sport, Videos. This article was not written by us, rather gathered using RSS feeds listed here. We take no credit for this article. You can leave a response, or trackback from your own site.